FESTIVAL STREET is at center, with residences at right and hotel at rear in this artist’s conception of a project approved Wednesday night by the Westminster City Council (City of Westminster). Westminster’s first major foray into tourism won approval Wednesday night from the city planning commission. Planners voted 5-0 to approve a six-acre development at Bolsa Avenue and Brookhurst Street in Little Saigon. 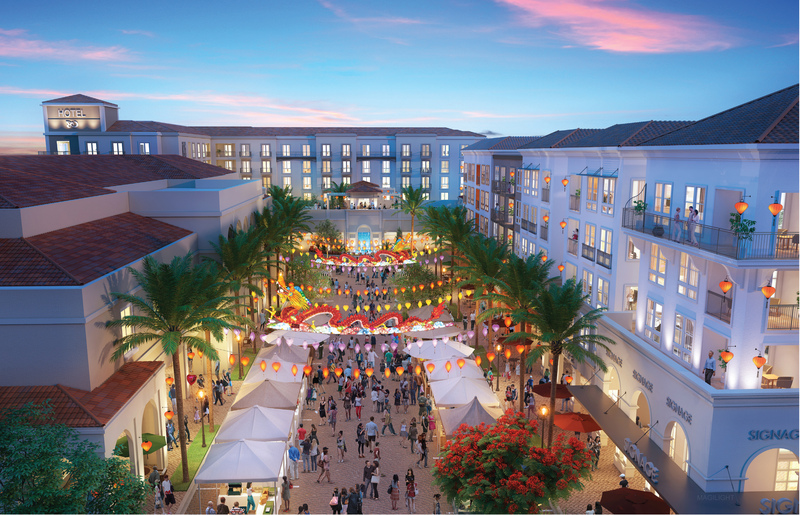 It will include a 144-room hotel and a “festival street” intended to be reminiscent of “old Saigon.” The project will also include a 48,000-square foot banquet facility, 37,550-square feet of retail space and 201 housing units. There was one amendment to the specific plan approved 3-2 by the panel. Signage was originally supposed to be illuminated until 2 a.m. The new “curfew” will be midnight. Next up for the project will be a vote on final approval at the next meeting of the city council, scheduled for Wednesday, March 14.